The Tinker Dice campaign didn’t make its goals, sadly, but we do have other plans for Tinker Dice. I’m planning on launching a campaign for the metal dice in a couple of days, actually, I’m just waiting on the prototypes so I can show them for the campaign. It’ll be a shorter campaign, since I do have other plans afoot, but it’ll have a lower goal that, with luck, we can hit. 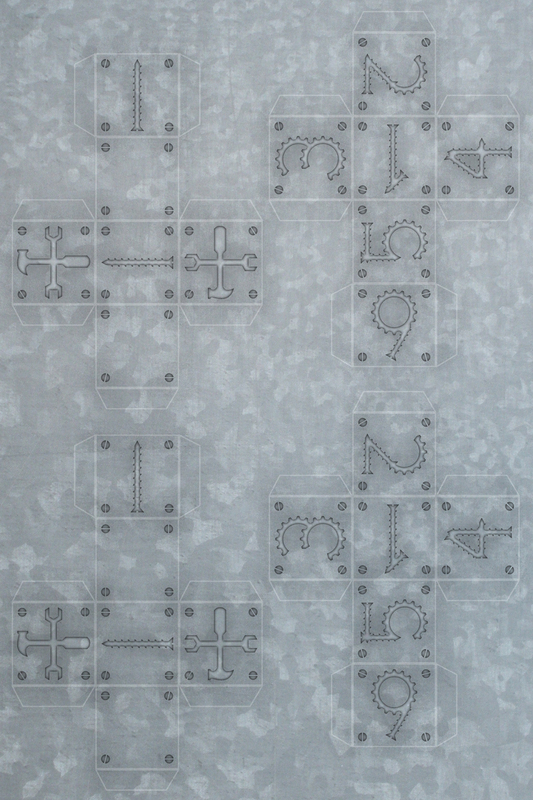 In the meantime, though, I’m getting numbers from other plastic dice production options. 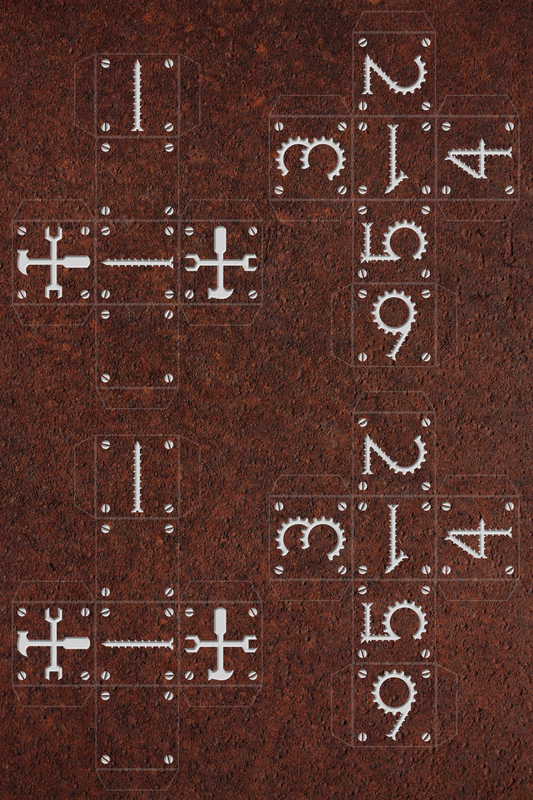 It looks like one significant way to reduce the base pledge cost is to go with solid color dice (not a big surprise, really, but it’s still a little sad to leave the speckled rust design behind). So, I’m curious about what colors you would like to see. As such, I’ve turned to PollDaddy to see if I can get some feedback. If you have a minute, please chime in, and I welcome further discussion down in the comments. Alas, the Tinker Dice campaign didn’t meet its base goal. I am nevertheless very grateful for everyone who backed it and/or plugged it on blogs, Twitter, Facebook, G+, forums and a smattering of other places. It’s been a good ride, and I’ve made new friends. Since I hate to leave anyone empty-handed, though, here (at the bottom of the post) are a half-dozen files that you can use to print out your own paper versions of the dice to play with, if you’re interested. The 4×6 files fit neatly onto a 4×6 photo print, and photo paper tends to be nice and sturdy. That’s what the beta prototypes are made from. Just cut them out, fold them together and put some tape around the seams, and you’re set. You can glue the flaps and put them together that way, but in practice, that’s more fuss than it’s worth most of the time. Alternatively, the 8.5×11 one can be printed on a standard sheet of paper or cardstock. It’s black on white to save ink, but if you all want an 8.5×11 of the colored dice, I can make those pretty quickly. I know, I know, it’s just not the same, but these should be the same size as the plastic dice would be, so it’s hopefully better than nothing. You can take these and print them up and play with them, just please don’t sell the designs. I am also working on another Kickstarter campaign for metal Tinker Dice, as well as metal Gearpunk dice. I’ll have those up as soon as I can; I’m just waiting on some prototypes I can take photos and videos of. It does seem that the metal dice were intriguing enough to some to merit a separate Kickstarter, and the base goal will be a mere $1,000, which should be more accessible than the $3,000 we needed for a production run of plastic dice. 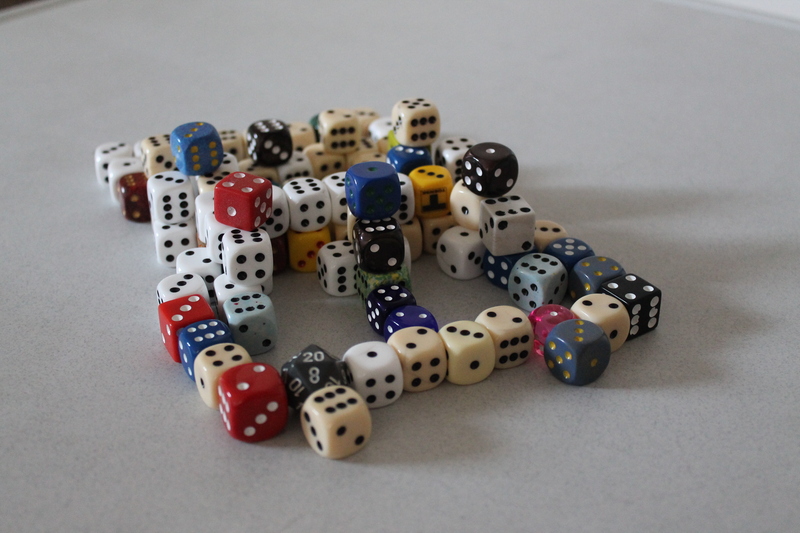 I am actively looking for other production options for the plastic dice, but so far the search hasn’t borne fruit. It’s certainly possible to get places like CustomDice.com or Chessex to make these, but they are significantly more expensive that way. …speaking of which, if any of you really want to go that route, please just email me at tishtoshtesh at gmail, and I’ll see if I can help you out. I’m not opposed to individuals taking my designs and making their own dice, either via homebrew tech like this, or asking Chessex to do it. I ran the Kickstarter campaign to see if I could get the dice out to more people at better prices, but I’m not going to say that’s the only way they can be made. 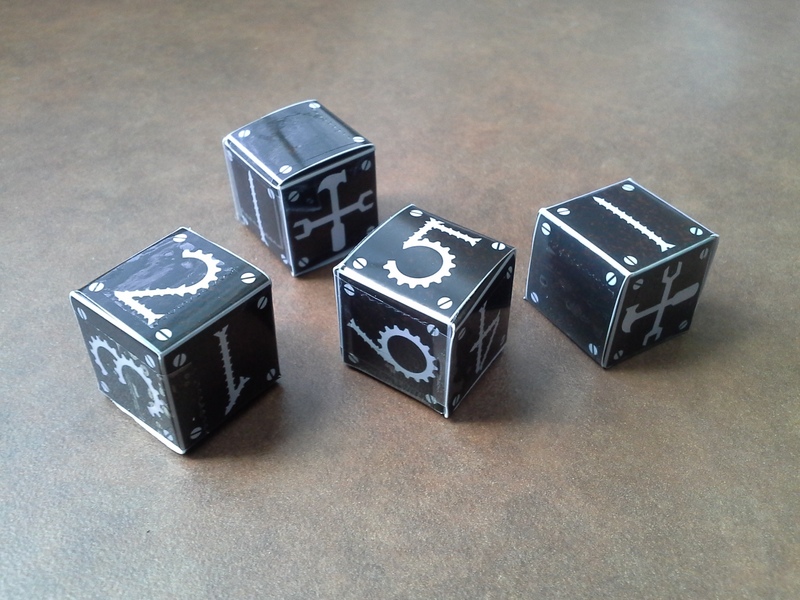 I also have the beta version of Tinker Dice up for sale in my Shapeways shop thisaway. 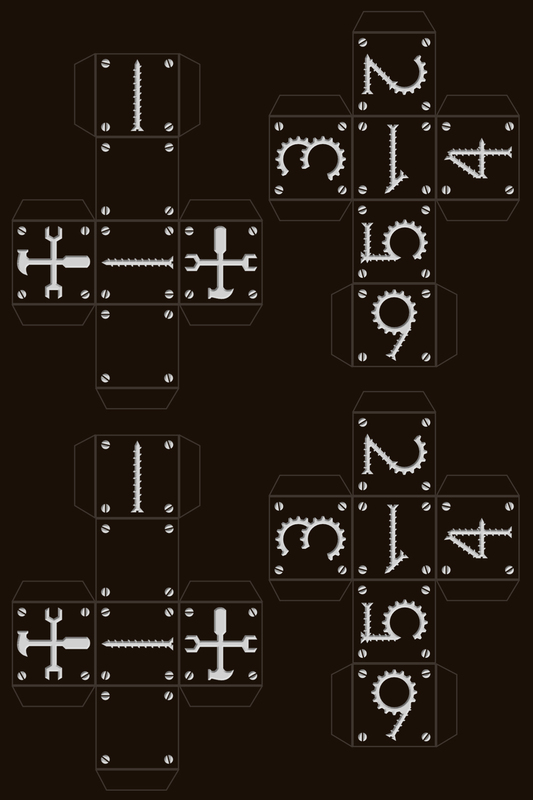 These will be the designs we use on further Tinker Dice campaigns, with the corner screws scooted around to allow rounded corners, which allows more printing options. Again, it’s a more expensive option, but it’s a viable one. The Shapeways dice are hollow to save costs (except for the solid singletons), but they are printable as far as I can tell; they are printing up a few for me to show for the next campaign. 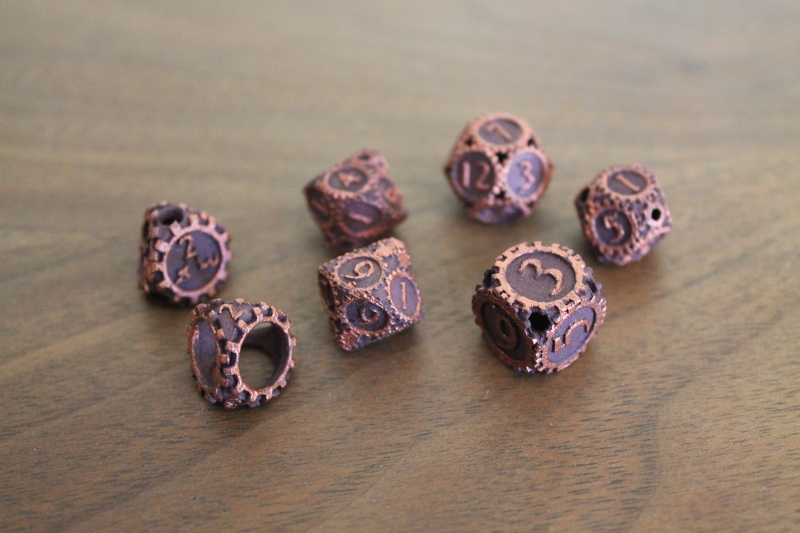 There are plastic versions and metal versions; they differ only in the interiors; the metal dice require more interior structure to meet the Shapeways printing guidelines. Oh, and while we’re talking about dice, might I recommend the Daft Dice Kickstarter? They do fine work with a laser cutter. 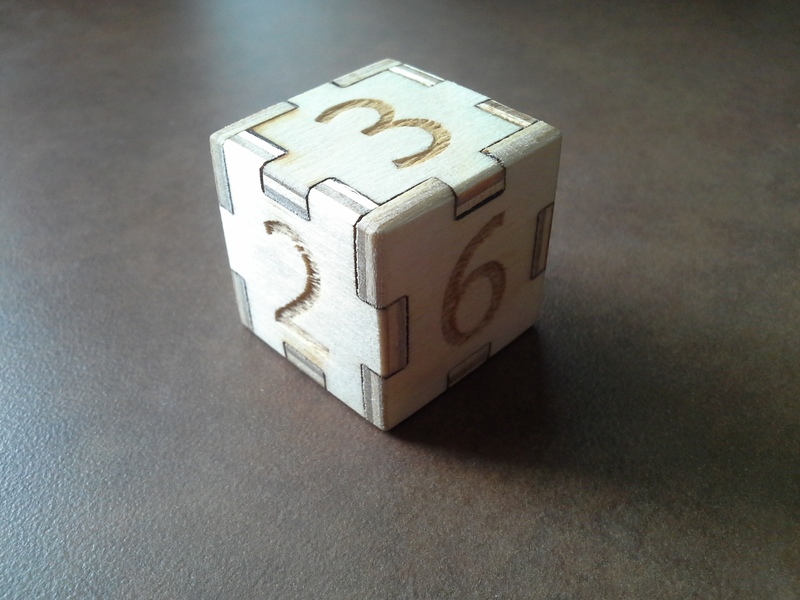 I have one of their simple numbered wooden dice, and it’s a solid, handsome bit of work. Dice are also excellent building blocks for tabletop RPG sessions, or planning out Minecraft structures. More dice mean a greater palette. 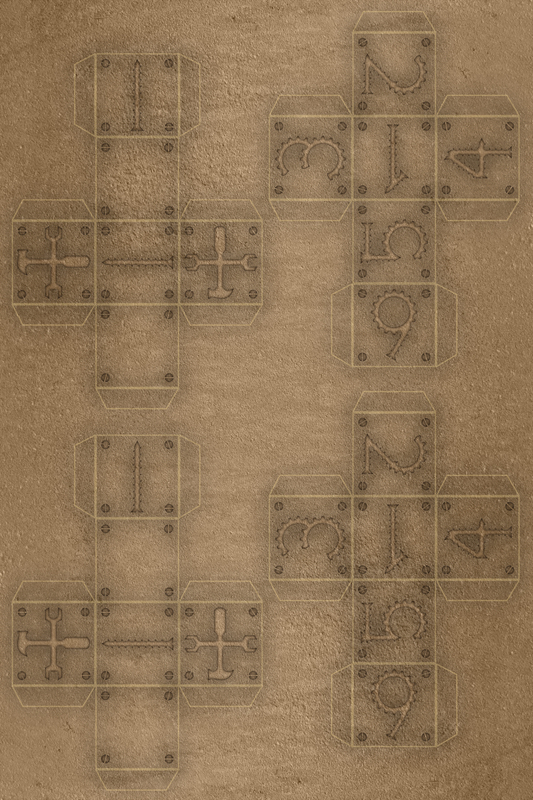 Tinker Dice could fill in the crucial rusty old shed or even nice peaty ground areas. I can only imagine what The Dice Collector could build. Dice can be excellent conversation pieces. These little gems, for instance, left on my desk at work, have proven to be eye-catching and good to start conversation. These are my Gearpunk dice, ones I designed, Shapeways printed, then I dyed and painted. The hollow D4 (front, left) is my favorite of the bunch, simply because it’s a design that plays to the strengths of 3D printing, making a shape that would be difficult to produce with traditional dice molds, and a solution to reading the numbers that isn’t common among four-sided dice designs. Maybe this blurs the line a little between simple dice and wargaming miniatures, but I’m happy playing in that space. 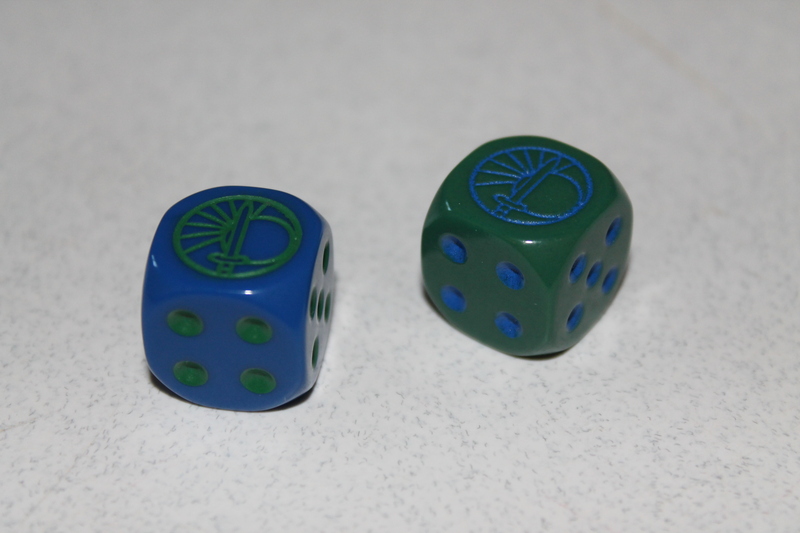 The Tinker Dice designs are more traditional, but the Gearpunk dice are more fun. Speaking of wargaming, minis and art, WarMachine Tactics is rumbling along nicely, and I highly recommend you go check it out. I’ve wanted them to do this for years, and it’s exciting seeing them find success. Oh, and just because it’s relevant, go check out the Awash site. Some great photos of well-decorated minis. Dice are one way to carry your team’s banner on the tabletop battlegrounds. …of course, there’s not really a Tinker faction in BattleTech, but Tinker Dice will fit into a WarMachine play session nicely. 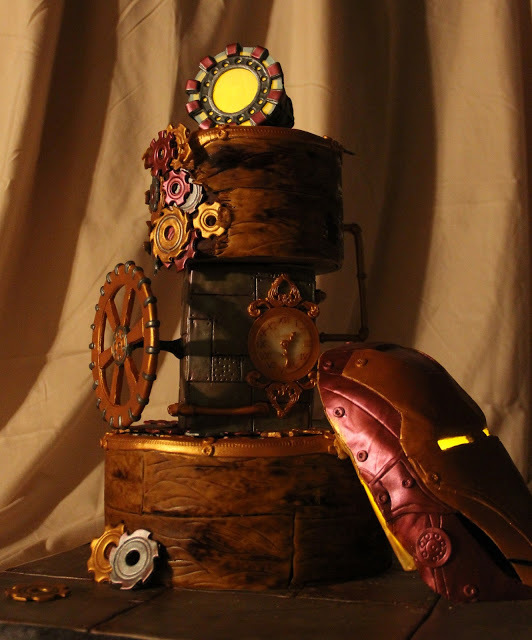 Unless you’re going to play WarMachine digitally, thanks to this project, but I digress. 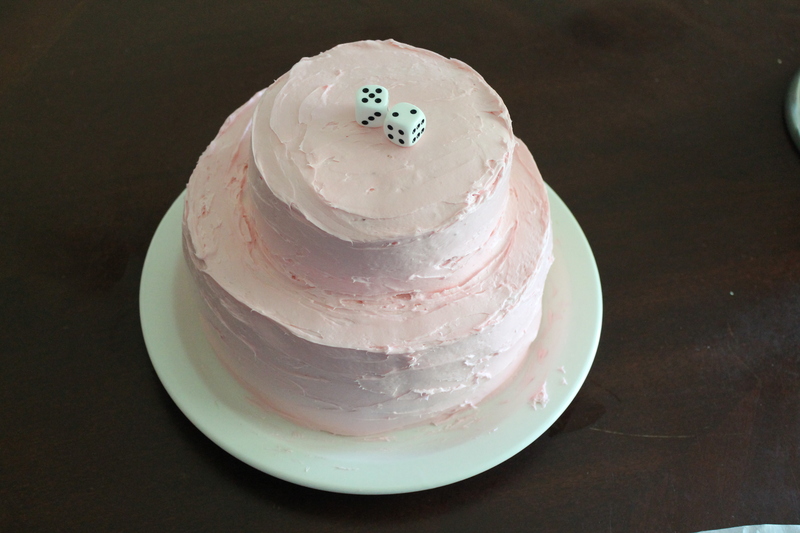 Of course, they tend not to be edible, unless you go for Chocolate Dice or make your own fondant dice. Welcome back from the weekend! We’re looking a little shy of the goal, and I’m sorry. I just haven’t hit that magic sweet spot of talking to enough and/or the right people and hitting a viral sweet spot. I’m very grateful for all of your support thus far, and I’m going to continue to spread the word where I can. In the meantime, though, I’m still spreading the word, and thank you again for your support and interest!